Release date for Heartbreak is on Jun 09, 2017. The stream is delivered via NPR. Also check out our Lady Antebellum artist profile to find eventual tour dates in your area and links to the official web and social media pages of Lady Antebellum. Last but not least make sure you scroll down and check out reviews for 'Heartbreak'. 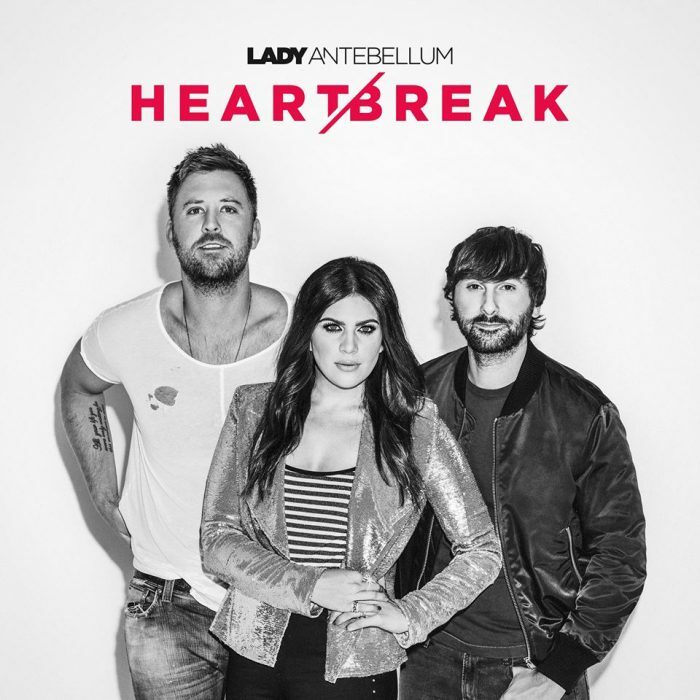 We currently know 5 reviews for "Heartbreak" by Lady Antebellum. People have mixed feelings about the record but in general seem to like it. "Not only is this one of the best new-artist debuts in recent memory (think Dixie Chicks in 1998), Lady Antebellum's self-titled set will go down as one of the year's best, period." "A rare find in any genre, the entire album holds up from stem to stern as the group deftly gives Nashville what it needs in terms of melody and production polish while mostly sidestepping assembly-line banalities." "At this point, Lady Antebellum is a group that seems to know the basics of contemporary country but isn't ready to move beyond them or redefine them for its own ends. Still, this is a good beginning." "There's nothing revolutionary here, just a solid set of songs performed with definite skill and enthusiasm." "It’s all very pleasant, and a bit generic."